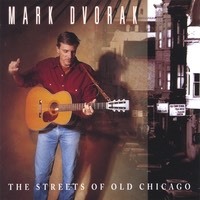 When Mark Dvorak released The Streets of Old Chicago in 1998, he had performed at venues throughout the Midwest and had toured the east coast. After twenty years and now in its seventh printing, “Streets” remains a trad classic. The CD documents some of his experiences performing in Chicago and teaching at the Old Town School of Folk Music. Released on the School's 40th Anniversary weekend, The Streets of Old Chicago features performances by Old Town School faculty members Steve Doyle, Steve Rosen, Michael Miles, Barbara Barrow, Al Ehrich and a guest appearance by Old Town School founder and folk legend Frank Hamilton.